With the second Global Constructive Journalism Conference being held on 18 January 2019 in Geneva, CFI is continuing its mentoring of six Palestinian media outlets to help them to integrate this form of journalism to their editorial line. 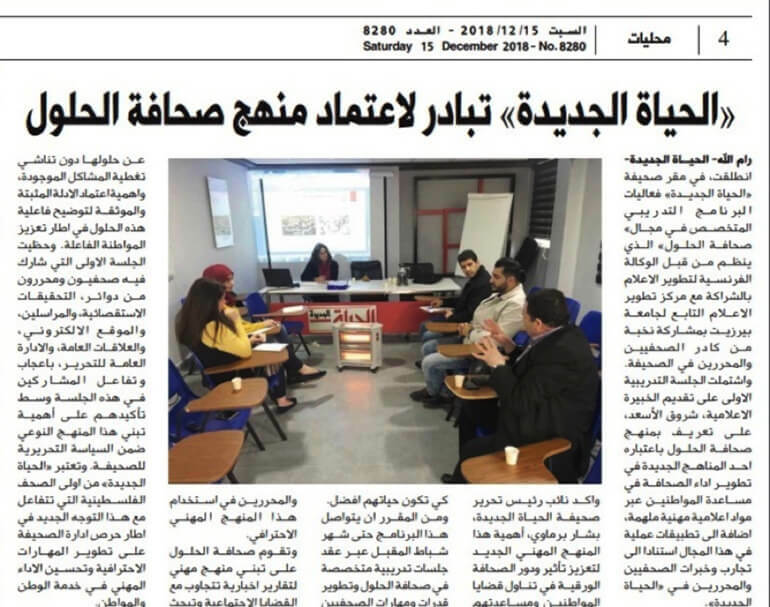 Following a call for applications via Birzeit University's Media Development Center (MDC) online platform, several media outlets from the West Bank declared their desire to develop new types of content, using the solutions journalism approach. 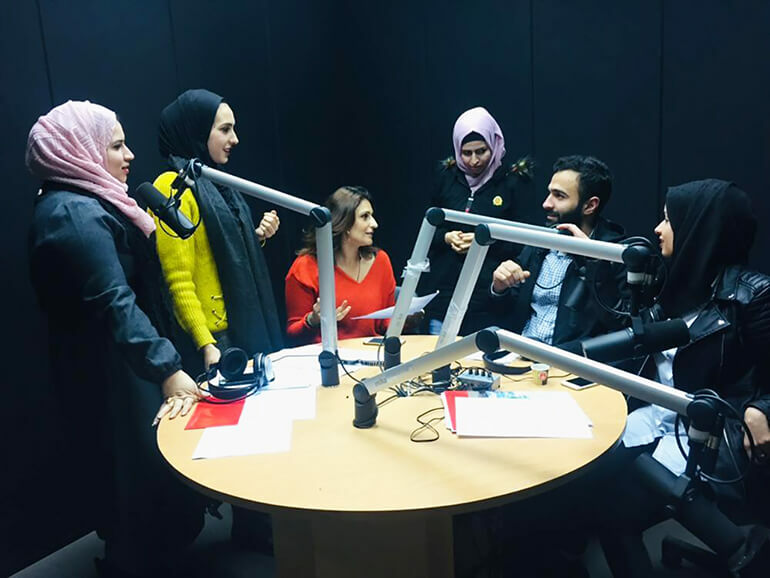 The recently created radio station of the Arab American University (AAUP) in Jenin, which will start broadcasting in early 2019 and will cover the city and its region. Since November 2018, these media outlets have been mentored by different experts, in accordance with the media type. The trainer will conduct two 3-day sessions within the editorial departments. The first session provided an opportunity to outline the principles of solutions journalism, to provide regional and local examples and to then reflect with the team on the levers to develop this approach within their media outlets. The expert then spent time with several journalists, working alongside them, in accordance with their specialist areas. The second session, which will begin in late January 2019, will provide an opportunity to go over the content produced following the first session. The subjects chosen by the journalists include: access to education for sick and hospitalised children, access to clean drinking water in schools, prison conditions, dam building techniques to improve irrigation of farmland, access to free educational content (MOOCs, English language courses, etc. ), new strawberry growing techniques, the fight against violence towards women, etc. The experts, Shuruq As'Ad (a correspondent with Monte Carlo Doualiya) and Angélica Tarnowska (an investigative journalist and collaborator of Reporters d'Espoir), were impressed by the participants' desire to cover difficult subjects and become deeply involved with the proposed approach. For example, the daily newspaper Al-Hayat Al-Jadida has committed to developing constructive journalism throughout its editorial line. For Manar Altoll, a young journalist with Roya TV, this approach is "the chance to step back from the breaking news and all of the negative information flows". In turn, Azhar Al Jadaa (AAUP radio station) has a more specific desire, "to propose solutions in the field of agriculture, an important yet neglected sector in the Jenin region, in particular through a specialist programme". Website of the World Conference on Constructive Journalism.